Both Blogger and TypePad provide both a WYSIWYG method of composing posts (like a word processor – what you see is what you get) as well as the ability to edit the HTML directly if one so chooses. Blogger’s user interface for WYSIWYG post creation has more options, allowing users to change fonts midpost as well as center text (or align it any way you want) without having to switch to the HTML. Blogger is free, TypePad isn’t. In my opinion, the nominal cost of TypePad is worth it, but if all you’re looking at cost than the winner here is easily Blogger. FYI – I use the tzpepad Pro version, and pay for it by the year (instead of monthly) to save a little extra money. There are two coupon codes for TypePad that I know of thus far. The first is ‘movable’, which gives you a free 90 day trial of the Plus version (rather than 30 days). The other is ‘LAUNCH’ (which I haven’t tested), which is reported to give you a 10% discount on pricing should you decide to continue with TypePad. ALSO, there is a free version of TypePad – sort of. You can only access it from a Friendster account (also free), and it requires you to have ads on your blog and has a much more limited set of templates, customizability, etc. When I tried using it to create a blog, I got repeated error msgs when attempting to do basic things (like enter a description for my blog!) so I gave up – this ‘free typepad’ is a buggy beta at best and not even worth the trouble at this point in the game. If free is where you gotta be, you’d best be using Blogger. TypePad supports them, Blogger doesn’t. Trackback’s are a critical way of spreading the word about your blog, as well as letting other bloggers know you’ve referenced them in your posts. You can use a third-party tool to kluge trackback support into Blogger, but TypePad wins this category hands down. All you have to do is paste the Trackback URL into the ‘Send a trackback to these addresses’ field and you’re done. Third party tools such as WhizBang and HaloScan entail much more effort – you’ve got to enter your URL, their trackback URL, your blog name, your post title, and an excerpt from your post. To me, that’s tedious even the first time I tried it. I’m way to lazy to even consider having to do those extra steps for each and every trackback I need to send (but maybe that’s just me – I’m a bit of an efficiency freak and have a pet peeve towards doing extra steps that can be avoided). Neither site allows you to customize the list of where you want to ping (a way of letting the world know you’ve updated your blog — see my comprehensive list of where to ping for more info). TypePad will ping blo.gs and weblogs.com. 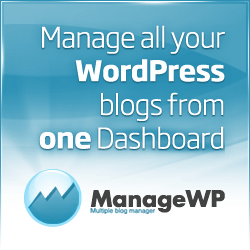 Blogger only sends pings to weblogs.com. You can workaround it in TypePad by pasting ping URLs into the edit box for Trackbacks, but tools like MovableType and WordPress allow the user to customize your ping list so you don’t have to go and paste that list each time you post. Nonetheless, this particular review is limited to Blogger vs TypePad, so the winner is TypePad. Search is built into Blogger’s navbar, which is not surprising since they’re owned by Google. TypePad has no built in method which allows visitors to search your blog, so even though they have Categories, a large blog can easily become hard to navigate. Fortunately, I figured out how to add search to your TypePad blog, but as far as having the functionality built-in, the obvious winner here is Blogger. Super easy to do with TypePad- they’ll even let you upload a zip file of images if you have a lot you want to add at once. Impossible with Blogger unless you either A) use Hello BloggerBot (and even then, it publishes each image as an individual post, rather than allowing you to incorporate images within your post) or B) know HTML and have a webserver where your images are hosted – in which case, why are you even bothering with Blogger? Typepad is the clear winner here. Update – Andrew from Blogging on the Free Web wrote up a great commentary on this post, and recommends using Flickr for hosting and posting of images to Blogger. I just checked it out, and I actually think Hello BloggerBot is better to use if you’re going to try to post images to Blogger (the main reason being that you can host an unlimited number of images, whereas Flickr’s free account only allows you 10MB of bandwidth transfer per month, and that includes uploads! If you have to pay a monthly fee, may as well plunk it down for TypePad, in my humble opinion). Again, TypePad is the clear winner here. Not only do they host your images for you, but when you upload your image, you can easily customize the settings to chose whether or not to wrap text (with the image on the left or the right), create a thumbnail (smaller version of your image) to display with the width you specify, either in pixels or percentage, and allow you to link to the full size version of the image in a popup window. Furthermore, TypePad even has a Photo Album feature, and templates which are designed specifically for those with a lot of images. AND, you can have multiple photos within a single post. Blogger makes each picture its own post. Blogger is a BIG loser in this category. Blogger has a very limited set of templates, all of which are two column designs. If you want to make any modifications to the template you have to edit the raw HTML and you’ve got no WYSIWYG interface for examinging the changes you’re making. TypePad has more templates (all of which are easier to modify), a slicker look, and various options of how your blog will display, including the option of three column layouts, mixed media based templates and more. If you’re not comfortable mucking around in code, you can forget about making any changes to how your Blogger blog appears, beyond switching amongst the few predefined templates that are provided. TypePad, on the other hand, let’s you fully (and easily!) customize the look and feel of your blog, allowing you to change the color and font of each element of your template, as well as what content (archives, categories, about me, link lists, etc) you want to appear AND in what order (with a drag and drop interface, no less). Customizing your templates to get your blog to look exactly how you want is a piece of cake – and no need to know HTML to do it. TypePad has a ‘design’ tab in the control panel that let’s you customize every element of your blog template – from font and color used for posts to the size and color of a headlline to the border style (if you want one) for any particular section, etc. It is extremely user friendly and intuitive to use. Furthermore, the ‘layout’ tab allows you to drag and drop where you want your blog elements to go (Archives, Categories, TypeLists, etc). This is a really nice touch. And if you do want to get into the nitty gritty of the html for the templates, you can modify not only that of your index page, but also of your individual post archive pages, category archives, etc. Once again, TypePad wins this category hands down. Well what do you know – Blogger actually has a feature that TypePad sorely needs! In the Blogger interface, click ‘Settings’, and then select the Basic tab (default). Choose ‘Yes’ in the checkbox for ‘Show Email Post Links’. This allows your blogs visitors to easily email posts from your blog to your friends. TypePad has no such built in function. With Blogger, you get one choice: no archive, daily, weekly, OR monthly. With TypePad, you can choose any of the above AND you also can archive by Category. TypePad keeps a running list of how many hits your blog has received, how many visitors you’ve received in the past 24 hours, which pages those folks looked at, as well as the referring URLs so you know how they found your site. While I’d like more than 24 hours worth of referral logs to look at, 24 hours is better than nothing. But again, I could also use StatCounter (or similar) to get more detailed stats if I wanted to use a third-party. Both tools provide you the option of being notified by email when someone new comments on a post. Both provide you the option of turning off commenting in your blog, or on a post by post basis. My Blogger blogs haven’t gotten much traffic or comments, so they haven’t attracted any comment spammers yet so I don’t know how Blogger handles Comment Spam, but I CAN say that TypePad gets rid of my Comment Spam almost as fast as the spammers post it.